THE UCO JAZZ LABEducate. Entertain. Create. The UCO Jazz Lab serves three primary functions. As an Education facility for the jazz studies program, as a community focused live music venue and as a place to learn, write and record music. In early 2000, Gary Gabrel, president of Hideaway Pizza, considered it a great coincidence that the University of Central Oklahoma's School of Music was looking for a home for its jazz studies program while he was looking for a place in Edmond to house a new Hideaway Pizza. When developer Mark Neighbors donated land at South Litler and Fifth Street to the university through the UCO Foundation, UCO President Roger Webb's dream to build a jazz lab and an evening performance venue began to unfold. Webb believed there was a definite market for a site that would serve as a teaching facility by day and as an entertainment spot by night. After all, UCO's jazz studies program has grown, since its formal foundation by Dr. Kent Kidwell in the early 70’s, from one jazz ensemble to its current program, which includes four large jazz ensembles, six unique jazz combos, a vocal jazz ensemble, and multiple degrees in jazz studies. Partnering with Hideaway Pizza was an ideal fit for a jazz lab. Audiences could eat pizza and enjoy beverages while listening to jazz and other entertainment such as blues, pop, country, bluegrass, ethnic, classical, and even a taste of Broadway. The Jazz Lab became an actuality thanks to a creative collaboration with the university, the UCO Foundation, the Neighbor's family, the Edmond Economic Authority, and the City of Edmond. With Edmond's growth and emerging reputation for good restaurants, the linkage between Cafe 501, Boulevard Steakhouse, and now Hideaway Pizza and an evening performance spot was a natural extension and quality move for both the university and the Edmond community. The daytime facility, then led by its appointed director, longtime faculty member, and renowned jazz musician Lee Rucker, opened for Central’s jazz students at the beginning of the spring 2002 semester. The facility is comprised of practice rooms, faculty offices, three state-of-the-art recording studios, classroom, box office, seating area, stage, and an encircled plaza area for outdoor performances. The creative team from Hornbeek Larsson Architects–David Hornbeek, Tony Blatt and Allison Perkins–designed the Lab to carry out Webb's vision to give the place a look that is a cross between Beale Street in Memphis and the French Quarter in New Orleans. The Jazz Lab is the fulfillment of a dream, and an excellent companion to UCO's Broadway Tonight and many other performances offered by our College of Fine Arts and Design. In 1974 Dr. Kent Kidwell established the first formal jazz ensemble in the curriculum at the University of Central Oklahoma, named Central State University at the time. Before then, there had been student jazz groups led by the late Wayne Nichols as far back as 1960. Some of these earlier jazz ensembles, though very successful, were short lived. 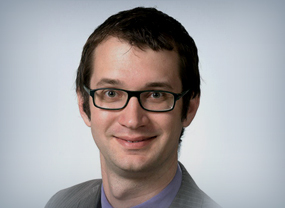 Dr. Kidwell, with administrative support, was able to establish the jazz ensemble as an accredited part of the music curriculum. The very next year (1975) Dr. Kidwell's Jazz Ensemble received top honors at the Wichita Jazz Festival. This festival hosted jazz bands from prominent music schools across the country. From that point on, jazz studies at UCO has grown from one 20 piece jazz ensemble to its current state, which includes Jazz Ensembles 1-4, a vocal jazz ensemble, and six jazz combos. Since 1975, UCO jazz ensembles, combos and individual students have received numerous awards and honors for outstanding performances at events throughout the United States and Europe. In 2002 the UCO Jazz Lab facility first opened to the public under the direction of long time faculty member, and one of Dr. Kidwell's first star students, Mr. Lee Rucker. Under Rucker's leadership the Jazz Lab has consistently been voted as the top live entertainment venue in Oklahoma for many years by multiple publications. 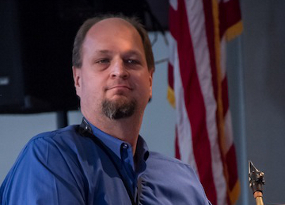 In 2006 Brian Gorrell, current UCO Director of Jazz Studies, was instrumental in finalizing a Master of Music in Jazz Studies with majors in Performance and Music Production. In addition to this and a Minor in Jazz Studies, a Bachelor of Music in Jazz Performance was also finalized in 2016. Today the Jazz Program at UCO is consistently recognized as the premier jazz program in Oklahoma and is frequently receiving national and international recognition, with frequent performances at Jazz Festivals worldwide, and multiple performances at Jazz Education Network Conferences. 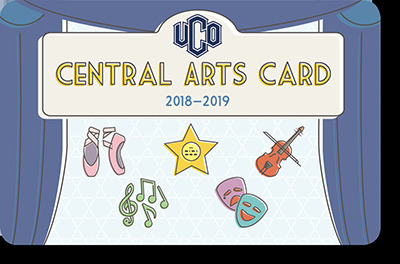 Purchase the Central Arts Card Today!